The street food staple of Falafel can only be improved by one way: sticking it in a pita, smothering it with moussaka, topping it off with peppers and other tasty bits, and charging about 40 cents per wrap. 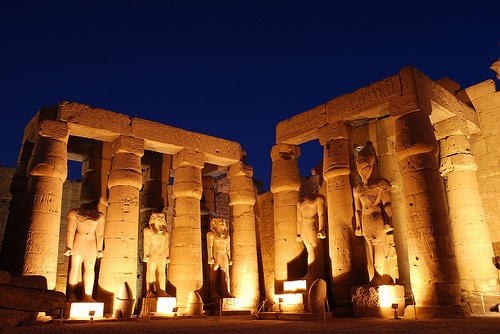 To order my favorite, go to Luxor, Egypt. Find the street opposite Luxor Temple with the McDonalds. To the left of the McDonalds there will be two falafel stands, one will likely have a longer line than the other. Stand in line, wait, buy four, and thank me later. Ironically, four of these tasty concoctions costs the same amount as a beverage at McDonalds. Must be for the view. 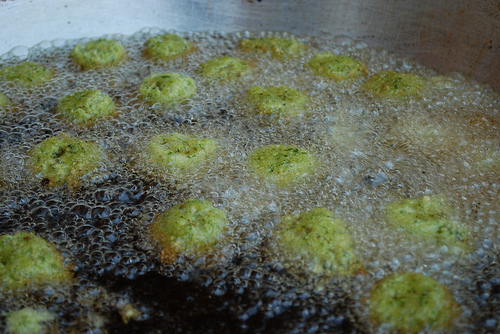 The falafel, which was originally made in Egypt as a substitute for meat during Lent is typically made from ground chick peas and/or fava beans, which is formed into a ball or patty and then fried. 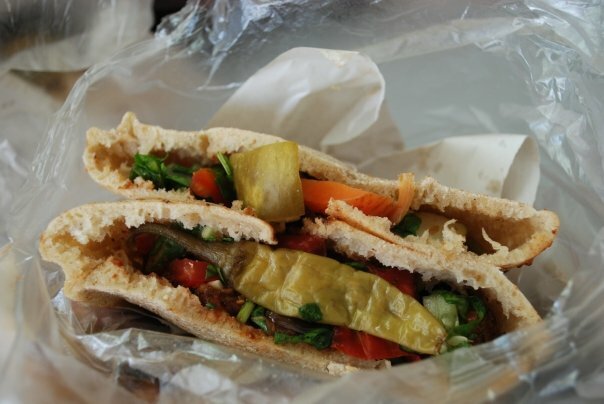 Served on its own as a snack or in a pita as a meal it is a food now found all over the world and loved by many. Are you a falafel fan? Where have you had your favorite? Also be sure to check out Jeremy’s new book which is being released this Saturday February 10th, 2012. The Long-Term Traveler’s Guide, go check it out! One of the things I miss the most about not living in NYC is my corner falafel place. @Abby: Is it something that you go back and have every time you visit? I love falafel :) The best ones I’ve had were at a festival in outback Australia, oddly enough.